Announcement Hello welcome to the shop! 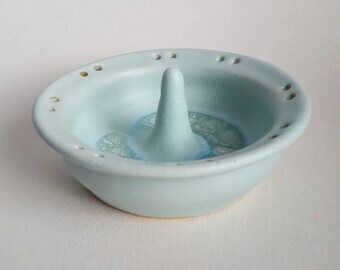 All handmade wheel-thrown ceramics out of Athens, Ga.
Hello welcome to the shop! 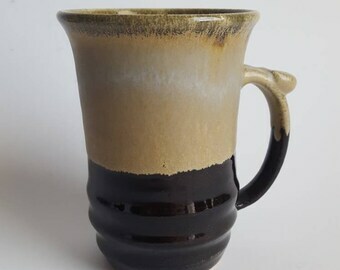 All handmade wheel-thrown ceramics out of Athens, Ga. 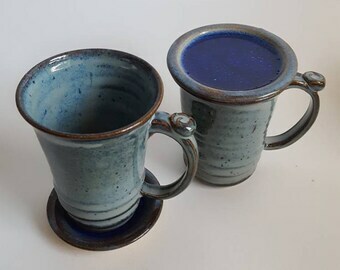 Handmade Blue Stoneware Ceramic Mug, Marbled Ceramic Tumbler, Dipped Blue Glaze on Wine Glass. Very sweet tiny pieces! Pretty colors. 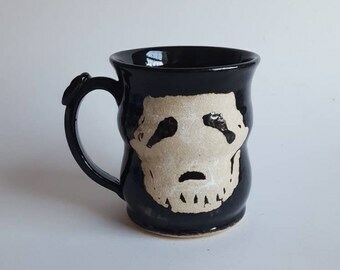 Very nicely handcrafted, the mug looks even better in person. 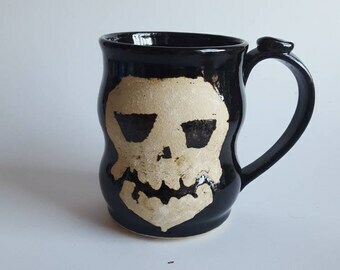 Megan was very gracious and shipped the mug fast so I could have it in time for my mom's birthday. (I had ordered it a bit late.) I will bury again! The banner we use at craft fairs often hangs in our living room to prevent wrinkle. Carving out a living in Athens Georgia by throwing pots and raising chickens. I live in Athens Georgia with my hsuband, four chickens, rabbit and a baby on the way. 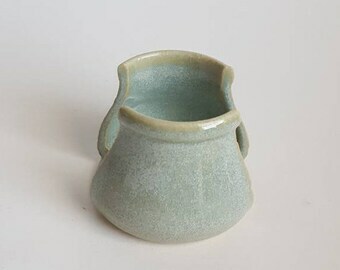 I make utilitarian stoneware pots in my studio garage where I have a wheel and an electric kiln. 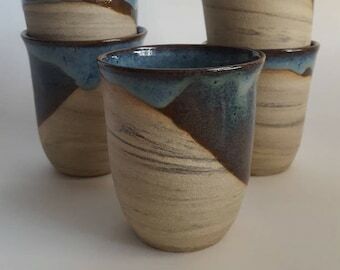 I fire to cone 6 and mix my own glazes on site. When I'm not throwing, glazing, firing or selling my wares at craft fairs and farmers' markets, I enjoy working on my backyard farm. My husband and I enjoy board games and cheering on the Classic City Roller Girls.